Green Roads is manufactured in the United States and is of only the highest quality materials at affordable prices. 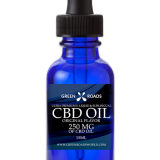 A true leader in the industry of CBD oils. 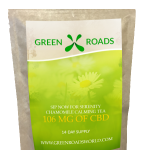 Calming Tea/106 mg of CBD for a 14 Day Supply Natural Health Aid Green Roads of Florida… Natural solutions for life’s everyday medical challenges. Humans aren’t robots; it’s hard to simply switch the brain “off” after a long day. Numerous cups of coffee and caffeinated beverages throughout ..
Ultra Premium E-Liquid CBD Oil pure blend 250mg of cbd oil | net. 15ml DIRECTIONS: 1) Drip 3-8 Drops directly into cartridge or atomizer. 2) Replace cartridge on atomizer. 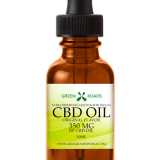 ingredients: Vegetable glycol usp grade, glycerin usp grade, CBD oil, Not to..
pure blend 350mg of cbd oil | net. 10ml DIRECTIONS: 1) Drip 3-8 Drops directly into cartridge or atomizer. 2) Replace cartridge on atomizer. ingredients: Vegetable glycol usp grade, glycerin usp grade, CBD oil, Not to be sold to minors. Keep out of the ..